“Classical theatre is every good theatre. Brecht, Pinter are classic like Aeschylus”. These were the words of the great director Minoas Volanakis when he suggested the name “Centre of Classical Drama and Show”(CCDS) for the institution that operates at Panteion University since 1992.The stage reading “Kein” of Byron directed by Volanakis was the first event organised by the centre. The aims of the Centre were to research the roots of theatrical creation and to present either classical or unpublished plays using both traditional and alternative acting methods. For this purpose it organised intercultural theatrical meetings and productions with top Indian and Cuban theatre companies (mixed workshops for greek and Indian classical drama and workshops dedicated to kalari –Indian version of Shaolin- and to the Cuban ritual Yoruba) and promoted MA and PhD researches. Its own theatrical activities include professional and university productions (the brothers Karamazov, the first presentation of Dostolyevsky’s “A gentle creature” in Greece, Cervantes’ Don Quijote – with the use of the Greek puppet shadow theatre together with flamenco techniques – and musical performances). Moliere, Lorca, Ramon del Valle Inclan, Vizyinos attracted the Centre’s interest on research and creativity. Except from Yiangos Andreadis , the main associates are Demos Abdeliotis (multi-awarded director) Sophocles Pepas (Beaki award 2008), Yiorgos Morogiannis, Kimon Rigopoulos (actor and director) and Yiorgos Papadakis (musician). The ancient Greek drama is by many ways at the centre of activities of CCDS( Centre of Classical Drama and Show ). This is evident from the organization of a series of congresses at Delphi, Thebes and elsewhere, as well as from the publication of the bilingual book “Tracing Dionysus, Ancient Greek Tragedy Plays”, (published by Sideris Publications in 2003) which includes analysis, list of shows , bios of actors, directors and other contributors-associates, a rich unpublished material and a relevant CD-ROM. The main occupation of CCDS with the ancient drama is practical and creative. Since 1994 the centre presented “Bacchae, the journey of Dionysus” and “Cyclop” of Euripides in Greece, Cyprus, France, Spain and Portugal. Workshops were also conducted for “The children of Antigone” which combined the translation of the play with a cd containing the choruses and which will be used for a new forthcoming show of the theatre piece.It is also worth noting that the centre converted a car-ferry of the military navy into a floating theatre twice (1996 and 1998) and presented ancient drama around the Mediterranean and reached as far as Lisboa. During the last years the centre experiments in a new genre which belongs at the vanguard of the international theatre: the adaptation of ancient dramas into musicals. These experiments led to productions like “Oh my murderer” (Ach dolofone mou, 2007) and “ Burn it all” (Ola kafta) which are related to Oedipus Rex and Agamemnon of Aeschylus. The last play consists a protest against the acts of arson that took place in Greece in 2007. Director of the Centre for Classical Drama and Spectacle is the Associate Professor Yiannis Skarpelos, and the Emeritus Professor Yangos Andreadis, who was the Centre’s director for twenty years is now associate director. Members of the Board are also the professor Christodoulos Giallouridis, the Assistant Professor Chariklia Tsokani and the PhD student Costas Mitrakas. Ledra studio started as a venue of artistic expression and intellectual resistance against the dictatorship during the years of the Junta (military coup in Greece in the years 1967-1974). With Costas Manioudakis as manager, the studio presented Nikos Xylouris, Thanos Mikroutsikos, Maria Dimitriadi, Yiannis Markopoulos and many others to the Athenian audience. 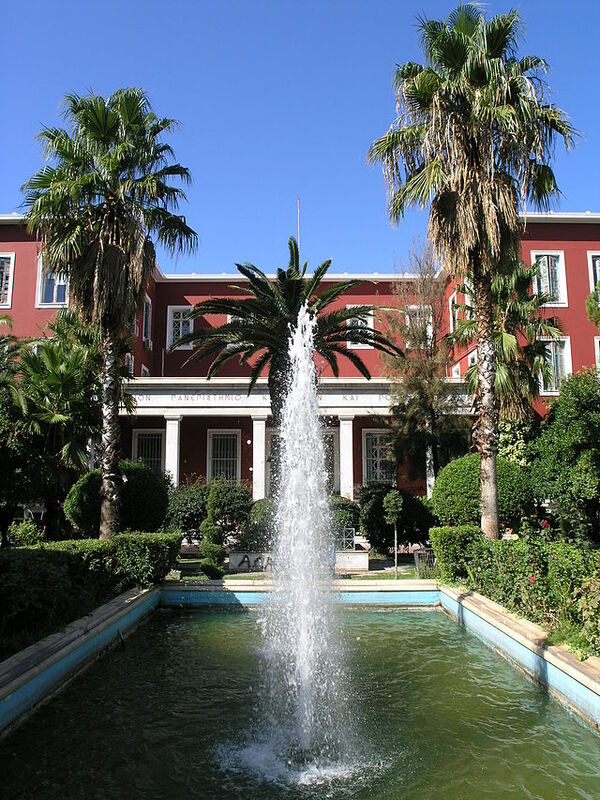 Since 1994 the studio was rented by the Panteion University. 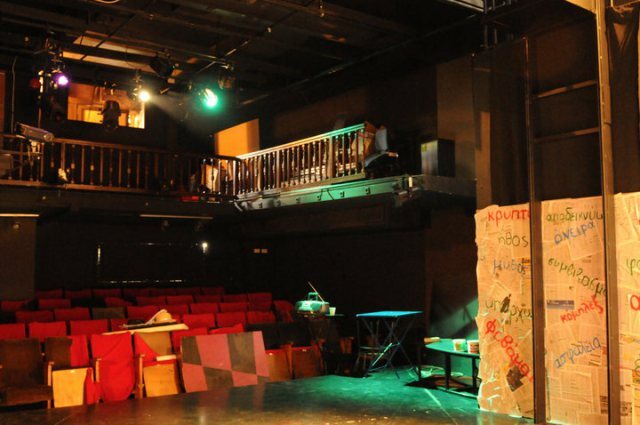 It is used for theatrical shows, stage reading, musical concerts, rehearsals of theatre companies and music bands, book – presentations and for artistic workshops of the BA and MA students of the Panteion University. Ledra studio is under the responsibility of the CCDS which was founded in 1992. The venue was refurbished with the contribution of Demos Abdeliotis – permanent collaborator since then – director and professor of the Department of Communication, Media and Culture of Panteion University. The role of Ledra studio in all the CCDS’ activities is crucial; it is the venue where all rehearsals, dress rehearsals and shows take place. But it also hosted the Panteion University’s theatre company (under the direction of Kity Arsenis) which presented selective plays like “The honour of Suderman” (I timi toy Souderman) of G. Isaias, “lysistrate” of Aristophanes, “Ifigeneia en lixourio” of Katsaitis, “Chalk Circle” of Brecht, “The adventures of a Husband from Syros” (Peripeteies Syrianoy Syzygoy) of Roidis and many more.